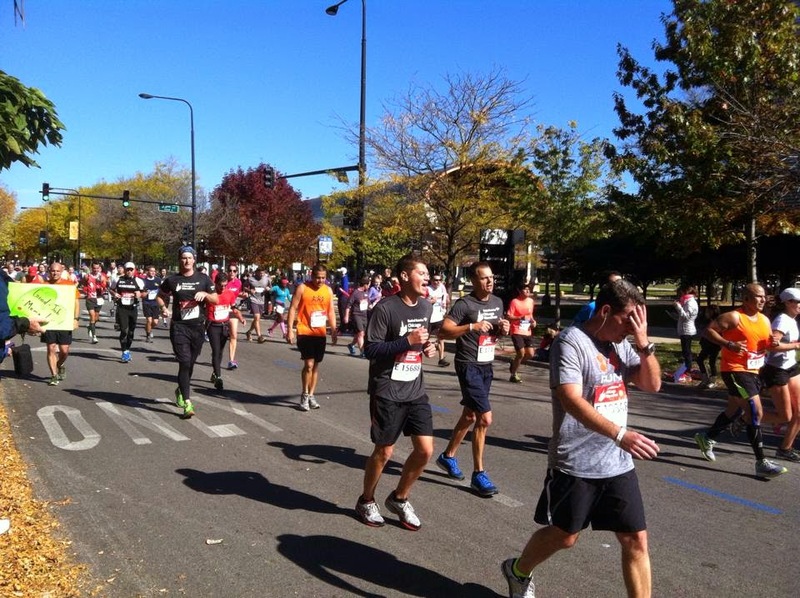 Today was the Chicago Marathon and as usual, many of my running group friends are participating in it. Having just had twins I have an automatic excuse for not only not participating but also not going through the effort to view it live and support anyone I know. The thing is, if I could run 26.2 miles today, I probably would participate in a marathon although probably not Chicago - I've done it a dozen or so times and it is in the Been There, Done That bucket. Alas these days my body cannot run 26.2 miles, it can barely run 2.6 miles. It's not so much soreness or pain, though there are aches and issues with both knees. It's almost as if my body has decided that because I ran so many miles and marathons during the late 90s and 2000s that it is done. No more running. I want to believe that if I can get the right therapy treatment I could make a comeback and still BQ. On the other hand, it is more likely that my marathon days are over. When I go out for a run, I barely get over a mile when I start to feel sluggish or achy or both. Time was that I would toss on my running clothes and head out and before I knew it, I had 3 or 4 miles knocked out and had to remember to turn around. At the end of the 90s, I gave up volleyball so that I could focus on marathons. Now is the time to give up marathons to focus on the kids. Occasionally I still found a pickup game of volleyball and even joined a rec league a couple of summers during the noughties, so there is no reason to believe that I couldn't do the same thing in the running world. I just don't want to struggle with a 6 hour marathon time like one particular friend did today.